A lady in a gymnastic position. 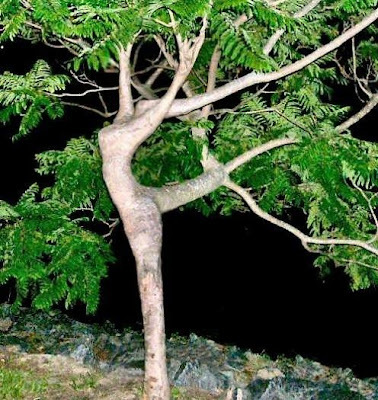 Once upon the time there was a girl, she loves ballet, but her father prevented from dancing and said you must become a "Doctor" so she wept and ran away from home to unite with nature to become a Dancer Lady Tree. at the beginning of each spring every year the Lady Tree turns to real girl dancing with the rhythm of that dream to get the young man who appreciates the delicate sense of the girl like me.